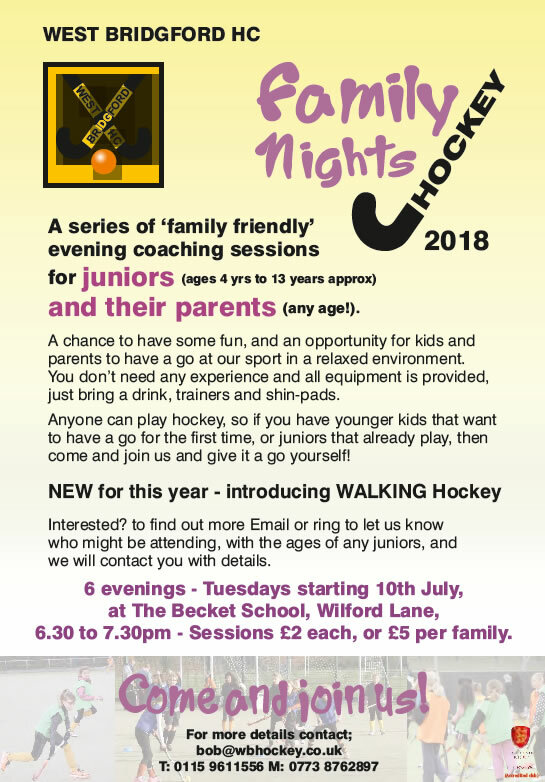 West Bridgford HC is hosting a series of 'Family Nights' hockey, from Tuesday, July 10 to Tuesday, August 14. You don't have to attend every one to be made welcome! This is a great chance for parents of young players to 'have a go' - minimum skill (or effort!) required - and this year we will be introducing 'walking hockey' for those do don't do running - a great way to learn and get involved in the game with no pressure, just for fun!